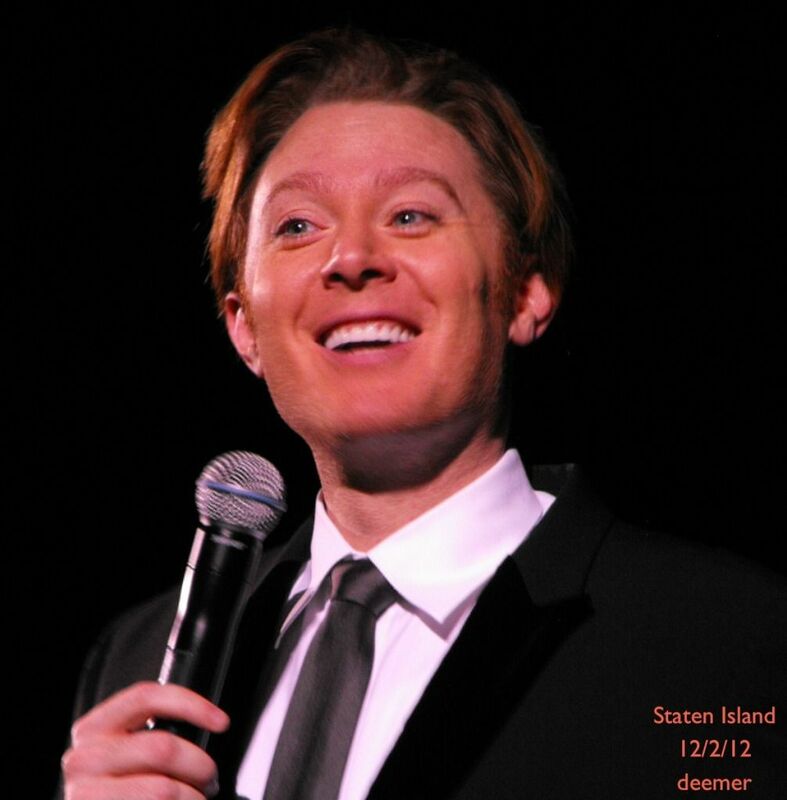 Clay Aiken – Another Stellar Performance! Reports are coming in about Sunday’s Joyful Noise Concert in Staten Island. 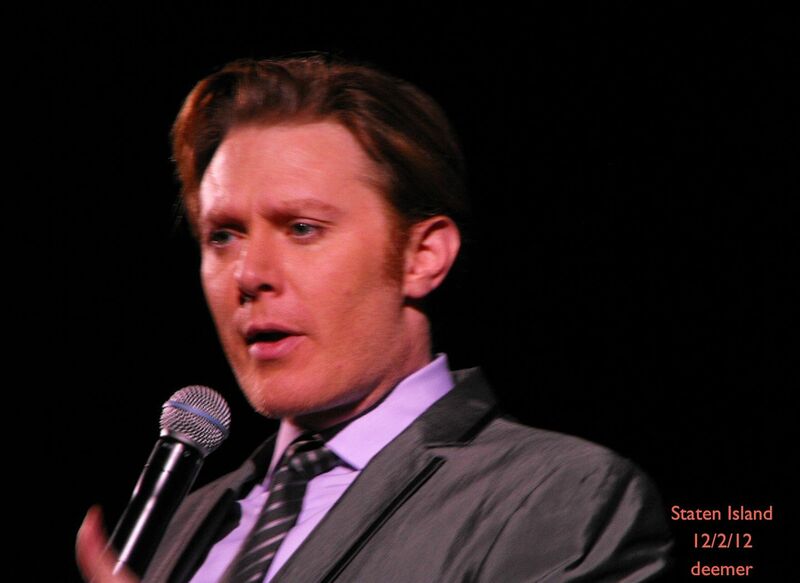 From all reports, Clay Aiken performed another stellar performance. Here are a few comments. 1. The orchestra was excellent…better than some of the others. 2. The theatre is gorgeous and the acoustics are amazing. 3. The young lady who was picked to sing the carol was very funny. She somehow got Clay to dance with her. Clay laughed at the frog bowl on the piano/table(???) and loved making fun of the purple Christmas tree. 4. The audience seemed to love every note! Many thanks to Scarlett for the wonderful videos. How does she get them up so quickly? Thanks to the fearless clackgatherers and the tireless uploaders like Scarlett & Wowzers4Clay we can watch and enjoy the wonderful performances of this outstanding artist. 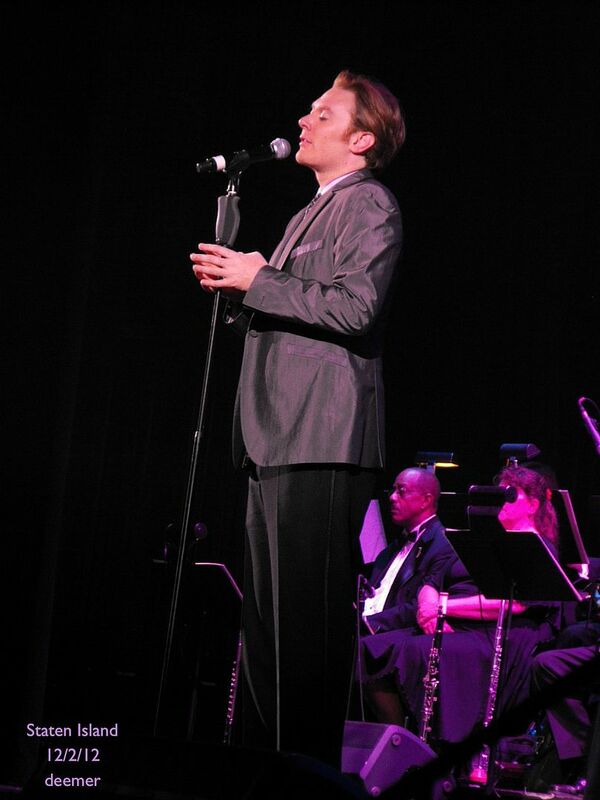 Clay Aiken is defintely the most amazing singer of the last decade! 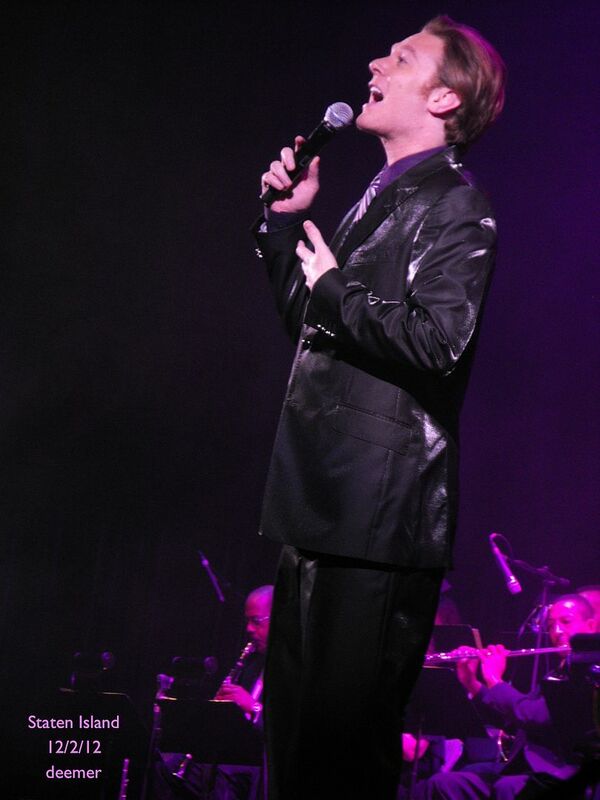 It is so exciting to see Clay having such a successful Christmas Tour!!! I hope each show just gets better and better – can't wait to see him in Detroit!!! 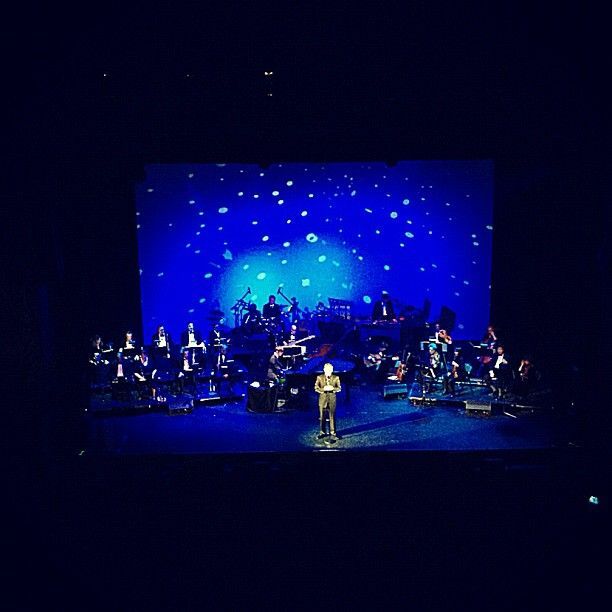 Sounds like it was a fantastic show last night (well every night is great). 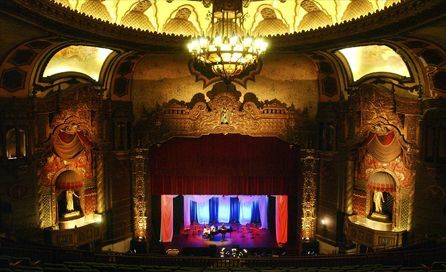 Looks like a beautiful theatre as well. Thanks again Musicfan for all the pics and videos. Thank you so much for the video's. Clay is just so wonderful. 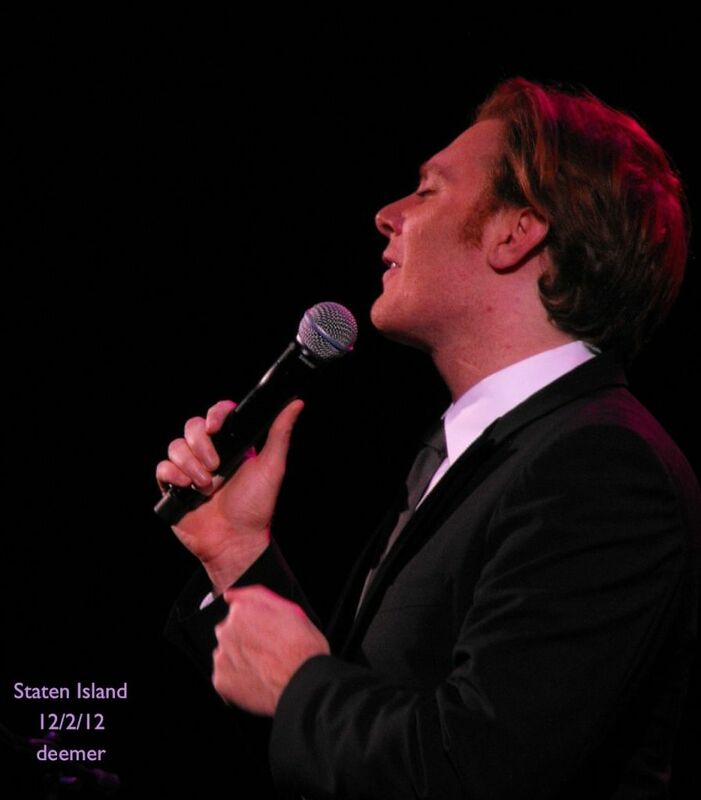 Sounds like the Staten Island venue was very beautiful. Clay even commented on it. Just goes to show you can't always judge a book by it's cover. I have already gone to my show..which was in Clearwater, Florida..and I wish I could go to more. Yes, Clay is that good. I got to hear Clay in Atlantic City. He is indesribable! We always say he has a God given voice but its a hundred times more!Clay made my insides feel like I was made of jello.I think all the angels in heaven were cheering him on.and THANK YOU clackers! U gave me the chance to see everything.my seat was in the front but at the opposite end from where Clay was and there were just 2 others behind me in the dark. in front of me it was all closed off and dark. the 2 ladies behind me were southern church ladies . they kept on saying LAWDY! THAT BOY CAN SING!and sometimes they sounded like they were having orgasms. LAWDY! YES JESUS YES JESUS YESSSSS!! !and I was able to give a birthday card signed by other fans to the security people.I made it from poster boardamnd I told them there was something for NIP too. that was really important that Clay got that.I have never in my life been so moved by anyone ever.the Staten Island theatre is really beautiful! able to get your things to Clay!!! THanks so much for the great pictures and awesome videos. The theater is really beautiful and Clay gave another great concert.I loved reading about it. I haven't seen anything mentioned about Jerome. Is he with Clay this tour? The Baby Jesus Medley is just so beautiful. Exquisite. Ben & Clay are so good together. I have heard a few people say they have seen Jerome so I guess he is there. I agree about the Baby Jesus Medley. The orchestration is fabulous! the old bus driver "Sarge" retired, too! So a new bus driver. Her screen name is MidgeWimpy. Error: Error validating access token: Session has expired on Tuesday, 21-Aug-18 16:13:01 PDT. The current time is Thursday, 25-Apr-19 17:50:50 PDT.